10-day countdown to the Winter Games begins as Vancouver Theatre Sports hosts February 1st fundraiser in support of the MindRoom™ mental training space for high performance athletes in British Columbia. VANCOUVER (Wednesday, January 31st, 2018) – Holders of seven Olympic medals and one of the country’s top wheelchair athletes will be among those called upon to improvise like they’ve never been asked before Thursday night, February 1st, in the inaugural 2018 SierraSil IMPROV GAMES presented by the Canadian Olympic Committee, a unique fund-raiser at Vancouver Theatre Sports on Granville Island. National wheelchair rugby star Kristen Cameron of Vancouver and the following five Olympians – swimmers Ryan Cochrane of Victoria and Brent Hayden of Mission, B.C., rower Lindsay Jennerich of Victoria, rugby sevens athlete Megan Lukan of Vancouver and former women’s national soccer team member Rhian Wilkinson of Vancouver – will be the participating athletes. The 2018 SierraSil IMPROV GAMES will bring to the stage the best practices of innovating on the fly as these world-class athletes demonstrate their ability to improvise individually and as teams. The on-stage format is a two-team event, with each team led through exciting rounds of improvisational competition by an improv actor from highly-touted Vancouver TheatreSports. The VIP reception is scheduled for a 6:30 p.m. start on February 1st, and the show will begin at 7:30 p.m. The event features a judging panel comprised of Olympian and IOC member Charmaine Crooks of North Vancouver, Olympian and viaSport Vice-President of Sport Development Jennifer Heil and Michael Bentley, President of title partner SierraSil. “This is a natural fit for SierraSil given our commitment to helping Canadians be healthy and active, and our joy is that our products reduce aches and pain that inhibit Canadians pursing their best in life or sports,” said Bentley. Also involved on behalf of Vancouver TheatreSports are referee host Brian Anderson and actors Andrew Barber, Denise James, Lauren McGibbon and Nathan Clark. The event is being opened by co-MCs Karen Surman of the TSN 1040 SportsCentre and radio personality with The Bro Jake Morning Show with Dave Pratt and Tom Mayenknecht, a marketing communications executive at Emblematica Brand Builders and sport business commentator who serves as host of The Sport Market on TSN Radio and appears regularly on CTV Newschannel. Surman will be the lead host on TSN 1040 for its official affiliate radio broadcaster coverage of the PyeongChang 2018 Olympic Winter Games beginning February 9th. National women’s wheelchair rugby team member Cameron is aiming to represent Canada in the Tokyo 2020 Paralympic Games. A former NCAA hockey player and product of Charlottetown, PEI, Cameron was pursuing a hockey coaching career when she was injured in an accident leaving her a quadriplegic. She was named to the national wheelchair rugby team – ranked fourth in the world — in March of 2017. 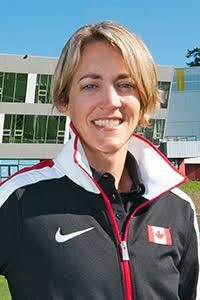 Cochrane has been a leader among Canadian swimmers, specializing in distance events and winning a bronze medal in the 1500-m freestyle at Beijing 2008, a silver in the 1500-m freestyle at Rio de Janiero 2016 and a double gold at the Pan-Pacific Swimming Championships. Fellow swimmer Hayden, a product of the University of British Columbia, earned the bronze medal at London 2012 in the 100-m freestyle and shared world championship honours in the same event in 2007 with Filippo Magnini of Italy. Lukan starred in NCAA Division 1 basketball as the starting point guard at the University of Wisconsin – Green Bay before crossing over to rugby in 2015. She made her debut for Canada’s women’s Rugby Sevens national team in 2016, earning a bronze medal at Rio 2016. Jennerich of the Victoria City Rowing Club – who doubles as a member of the staff at Canadian Sport Institute Pacific — was a world champion in light weight double sculls at Karapiro in 2010 before scoring a silver medal in the same event at Rio 2016. She also won world championship silver medals at Bled in 2011 and Amsterdam in 2014. A versatile soccer player with credits playing defense and up front as a forward and striker, University of Tennessee graduate Wilkinson represented Canada on the women’s national team from 2003 to 2016, winning bronze medals at London 2012 and Rio 2016. In addition to SierraSil as title partner and the Canadian Olympic Committee as presenting partner, the inaugural SierraSil IMPROV GAMES are being supported by a series of Community Partners: Adamek Financial, BC Games Society, BC Sports Hall of Fame, Fortius Sport & Health, PISE, Richmond Olympic Oval, Sport for Life Society, Sport BC, UBC, UVic and viaSport. Also playing leadership roles are media partners TSN 1040 and The Sport Market, and our Silent Auction Partner, Pastime Sports and Games. Media should contact Noah Wheelock, Manager, Communications for Canadian Sport Institute Pacific regarding credentials for the event Thursday. More information is available at http://www.csipacific.ca/improvgames.